This holiday season, help yourself to an extra serving of turkey, potatoes, and pumpkin pie, but forego that heaping helping of stress! 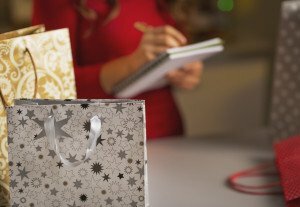 The best way to ensure all of the holiday to-dos get done, while caring for your senior loved one and keeping your sanity, is to create a plan that enlists the help of family members, friends and neighbors. While many of us feel uncomfortable requesting help, the other side of the equation is that loved ones truly do want to lend a hand, but often are unsure how. By providing specific tasks to those who want to help, you’re allowing them the opportunity to provide meaningful assistance, and giving yourself some much needed stress relief. Buying gifts for co-workers, teachers, neighbors, etc. For each item on your list, indicate whether it is something you want to keep, eliminate, or allow someone else to help with or take over. If someone will be taking over a task for you, write his or her name next to that task. This simple step can help caregivers decide what’s really important this time of year and free up some time to care for themselves. Remember, the care you give yourself is just as important as the care you give to others. Need help finding ways to make time for yourself this season? Make sure to add Hired Hands Homecare to your list of those ready and available to help! Our California in-home care is second to none, and we can provide a full range of home care services from shopping and errand-running, to cooking and light housecleaning, to daily personal hygiene and so much more. Contact us at 866-940-4343 to get started with a free in-home assessment and personalized care plan to meet the particular needs of your senior loved one.